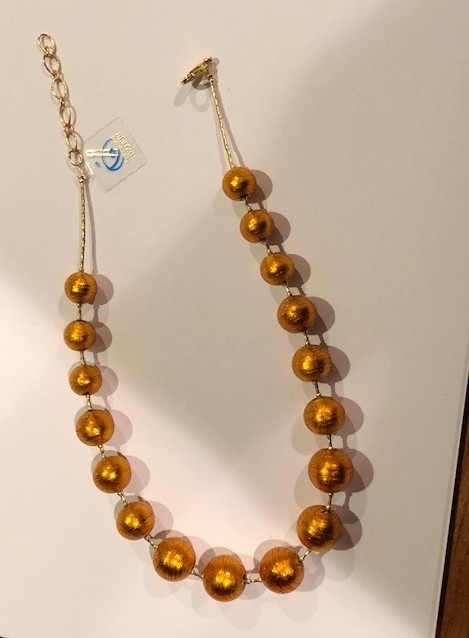 Murano Glass Necklace Amber - Murano Glass Jewelry - Murano Glass Gifts Co.
Murano Island is considered to be the world’s glass capital. 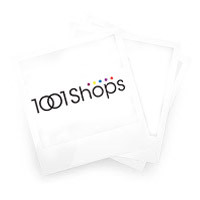 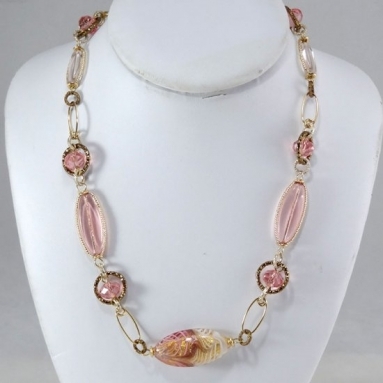 The Murano glass articles made of the finest quality glass is the world’s favorite. 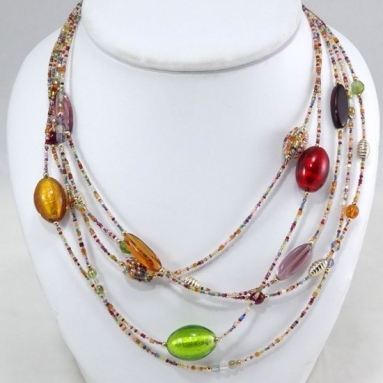 The Murano glass jewelry occupy a supreme place in the collections of fashionable ladies the world over. 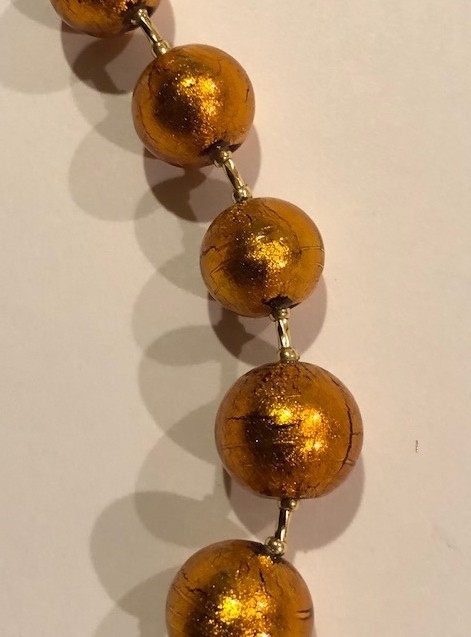 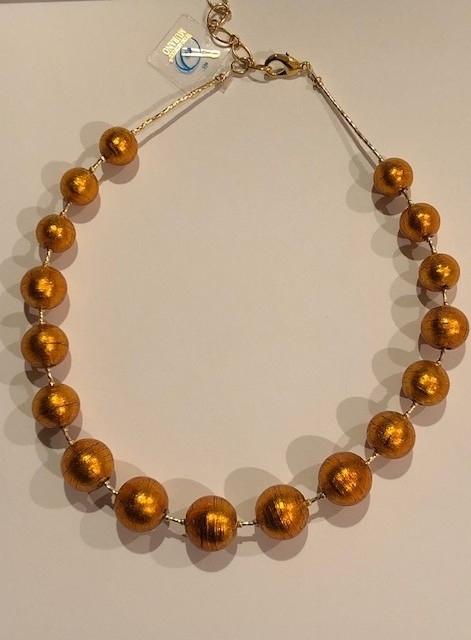 This eye catching golden high gloss beautiful color Murano Glass necklace is something different for you to see and love! 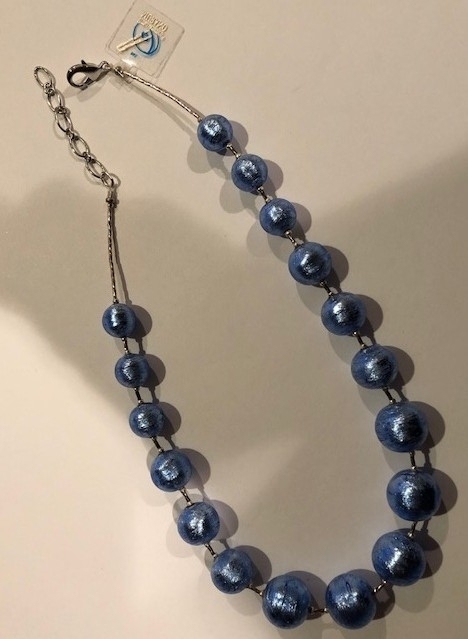 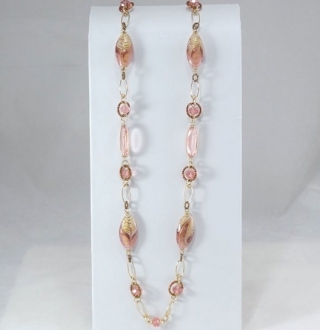 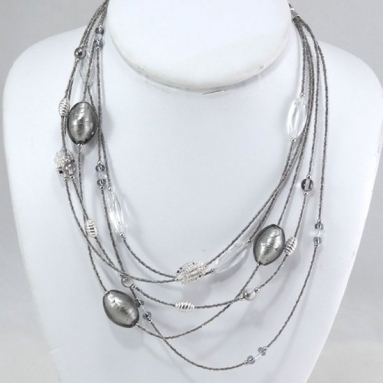 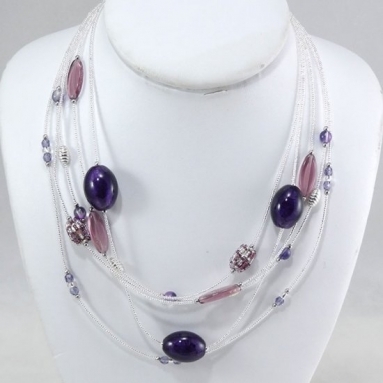 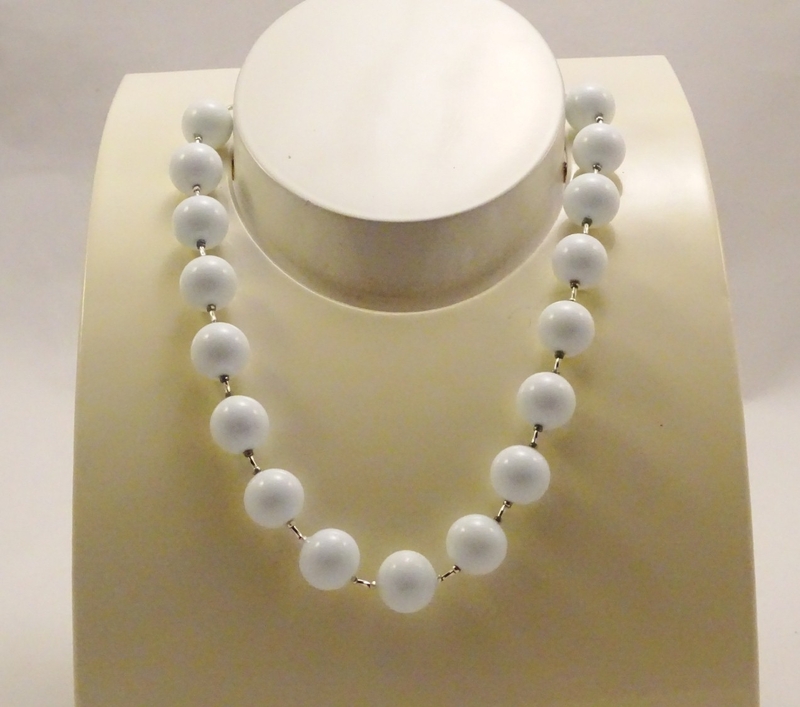 This Murano glass necklace is 18.5” long and has an extra length of chain to increase its length if needed. 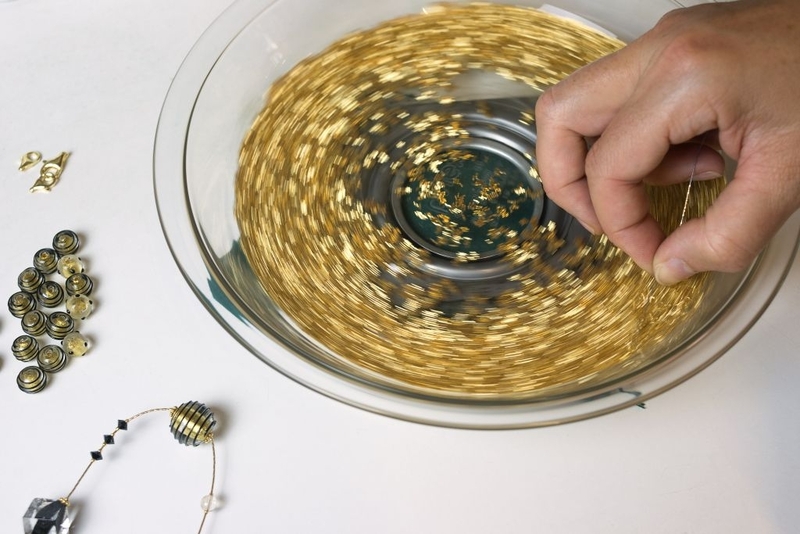 The necklace is made of 17 golden glass globules with metallic high gloss finish. 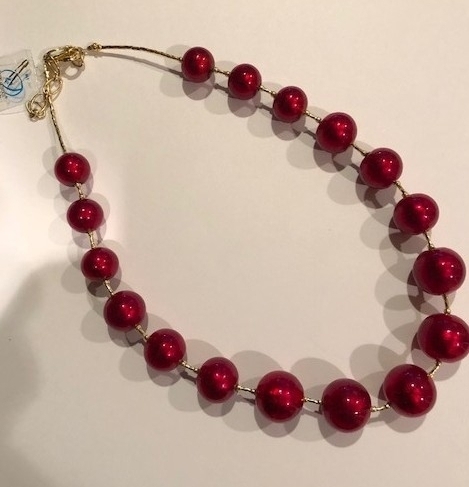 collection and a great gift article. 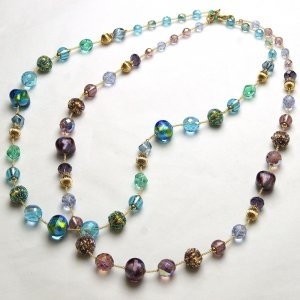 Each bead is unique one of a kind hand made by Artisans of Murano Island. 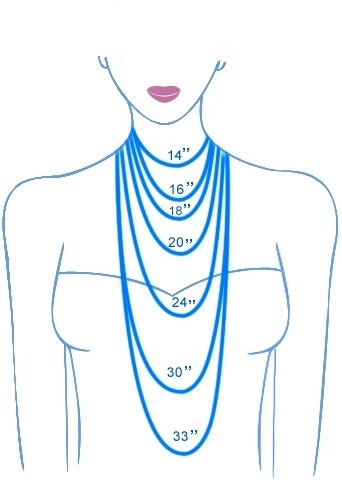 chain which facilitates adjustment of its length as you need it. 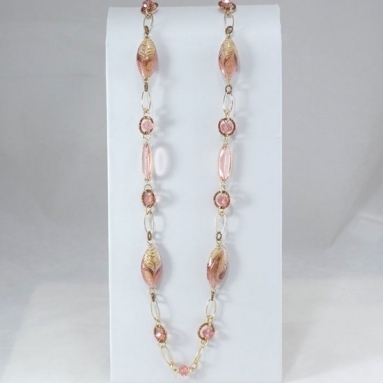 This Murano Glass necklace is an excellent gift article. 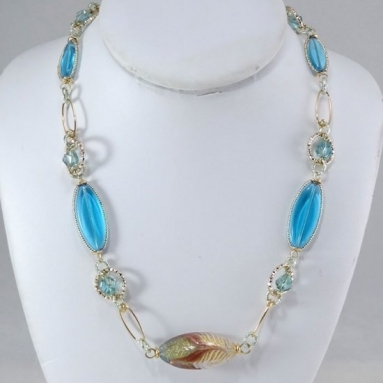 This is a genuine pieces of glass necklace which is made in Italy and carrying the seal of the Glass Consortium. 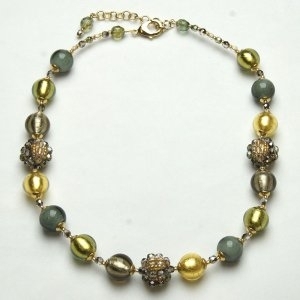 Besides, it is accompanied by a certificate of authenticity.